Wear Blue to show our support for today. According to google, Autism or autism spectrum disorder (ASD), refers to a broad range of conditions that challenges social skills. These include repetitive behaviors, speech and nonverbal communication. Autism first appears very early on, sometimes as early as infancy. In other times waiting until later in childhood. The disease progresses steadily without remission. Its first symptoms generally appearing around six-months, and being firmly in place by age two or three. Autism is no longer a single disorder, but rather an entire spectrum ranging in severity. Moreover, Autism affects approximately 1 out of every 150 children around the world. It is a neural development disorder that affects their ability to socialize normally by impacting their abilities to utilize verbal and non-verbal communication. 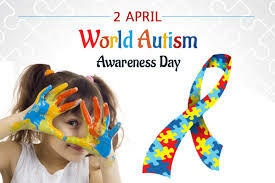 World Autism Awareness Day was established on December 18, 2007 by the United Nations. This year, it is celebrated all over the world on the 2nd of April to raise awareness to a health concern that has increased by a massive 30% since 2012. So on this day, you can help raise awareness by hosting an event with local families with Autistic family members. We could come together to be among others sharing their difficulties, challenges, and joys. You could even contact local businesses and NGOs to encourage them to light up their building blue to signal their support for those suffering from Autism, or you could even light up your own home. Spend World Autism Awareness Day reading about Autism and discussing it with others. Perhaps trying to gain a little understanding about this special group of people and the syndrome they live with. Let’s all show our support for our brothers and sisters and children that suffer from Autism. Dawn your blues colors to let them know that we are here to support them.